Editor’s Note: Welcome our guest blogger Clarence Ball! 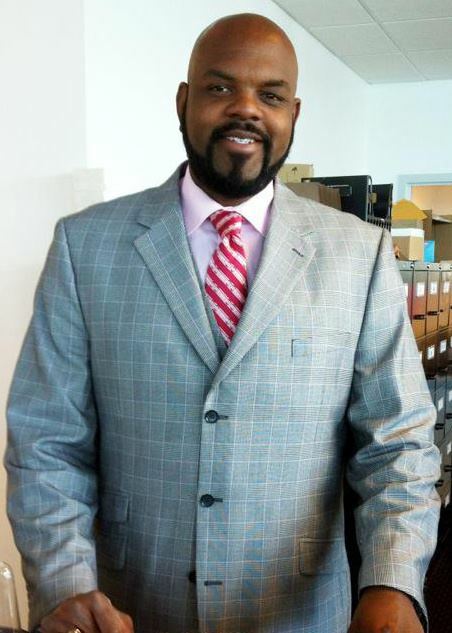 He is a Sales Consultant here at Waldorf Ford, located in Waldorf, Maryland. He has been with us for since 2001, that’s 12 years to be exact! He is originally from Waldorf, Maryland and attended the College of Southern Maryland. Mr. Ball is very active in his community. From volunteering at local charity events to being visible at all our events here at Waldorf Ford, I am sure you have met him! His favorite part of the job is making sure his customers are completely satisfied! He also enjoys learning & developing his product knowledge base as you will see in this blog! Clarence’s automotive knowledge is expansive so if you have any questions ask for him! It seems like it was just yesterday when in 2001 Ford Motor Company introduced The Personal Safety System and made it standard on most vehicles. At the time, this innovative system was a tool that recognized the weight of a passenger, how close they were to airbags, the speed of a vehicle, and also determined the amount of pressure need for each front passenger. Today, along with the Personal Safety System Ford has added standard side curtain airbags and rear inflatable seat belts in the Explorer and Flex. Even now the Ford Fiesta offers drivers a knee air bag! In 2002, reverse sensing and flip down video cassette players were introduced when the Expedition came out. 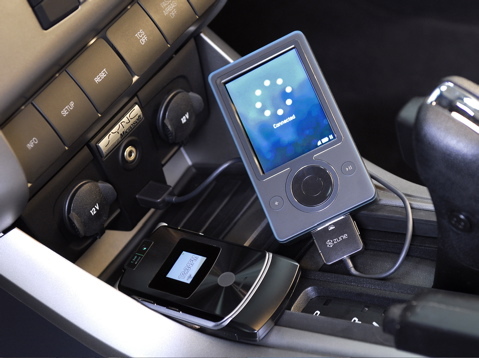 Since video cassette players, Ford has evolved to flip down DVDs to DVDs in headrests with USB connections. Then there came navigation systems. Navigation systems first started with a small screen with seven discs for each region of the United States, now they are large MyFord Touch screens running off a small SD card. That means saving space! The vehicles still offer the reverse sensing system but now have available rear view cameras which show you backing into a parking space, garage, or even assist in backing up a boat or trailer! Our trucks and vans now offer a built in trailer brake controller. This controls the braking of your trailer which is conveniently displayed on your instrument panel and can also STOP your loaded trailer faster than your conventional aftermarket brake controllers! In 2007, technology in Ford vehicles really took a big leap forward with the introduction of SYNC. SYNC is an operating system designed by Microsoft that debuted in 2007. In the first version, it was just Bluetooth for your phone and music connectivity for your line in or USB devices such as IPODs. The latest generation of SYNC on 2010 models and newer, feature SYNC Services which has a turn by turn navigation, Vehicle Health Report (gives you the health of your vehicle like when it is time for your oil change), and 911 Assist. All can be activated on the http://www.syncmyride.com website. Next jump was the introduction of Adaptive Cruise control in some of our vehicles. This feature is great for stop and go traffic. It can measure the distance between you and the car in front of you. For instance, if the vehicle in front slows down, your vehicle maintains the same distance or gap between the two vehicles. Some of the other great advances are BLIS and Active Park Assist. 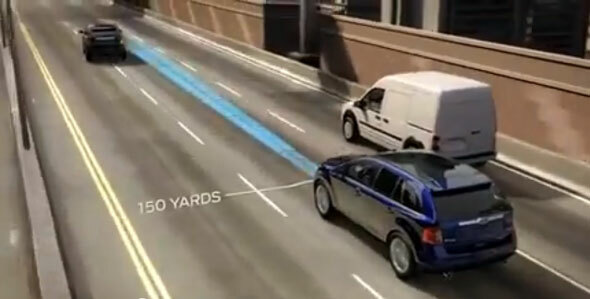 The Blind Spot Information System automatically senses vehicles in your blind spot. It uses an amber indicator that comes on in the corner of your side view mirrors. Another great feature is the collision warning with brake assist. This is available on some models. This feature senses cars in front and gives you a warning if you need to brake quickly. It actually precharges your brakes so you can stop quicker than without this system. Active Park Assist is another great feature. It can parallel park your car for you once a space is found. So possibly, one day in the future you might see people with a car that can drive for them. Like K.I.T.T. 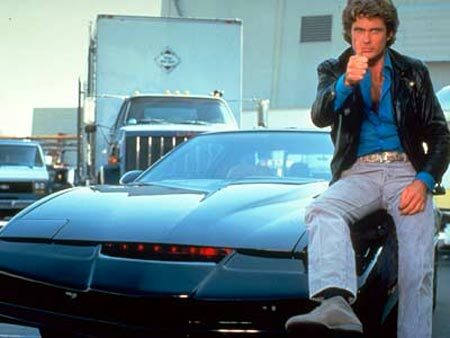 on Knight Rider. There are many more innovations in the works and some that are actually arriving in our showroom now. If you would like to hear more about them, just stop in and see me at Waldorf Ford. Waldorf Ford is located on Route 301 North in Waldorf, just 15 minutes south of Washington DC. You can find us online at waldorfford.com. This entry was posted in Ford, Henry Ford, Maryland Ford Dealer, Uncategorized, Waldorf, Waldorf ford and tagged blind spot, calvert, cars, charles, ford dealer, ford focus, fusion, Henry Ford, la plata, maryland, Maryland Ford Dealer, southern maryland, st marys, sync, technology, transportation, vehicles, virginia, waldorf ford, washington, washington dc, washington dc ford by Administrator. Bookmark the permalink.